I do have a reservation, which is that placing social shares above clicks is probably not the cleverest move. It's no secret that many people share without clicking through content, particularly on networks like Twitter. 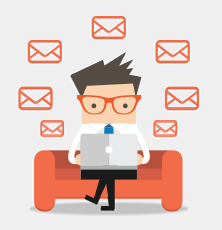 Likewise, open rates on an email are not necessarily indicative of engagement. People can and will accidentally open emails they don't intend to. Whether they actually click through to your website should surely be a greater measure of a piece of content's success? Much as I love Friday Night Lights, I'm not sure the American Football analogy is particularly useful here either. As we all know, content marketing is a longer game. It'd be wonderful if the funnel went something like: read article -> buy product -> BOOM. Sometimes, that's the case, but I think the comparison will dishearten many marketers and business owners if their content doesn't yield immediate results. What we should be emphasizing is the importance of nurturing our prospective and current clients with content that is relevant to them over a long period of time. 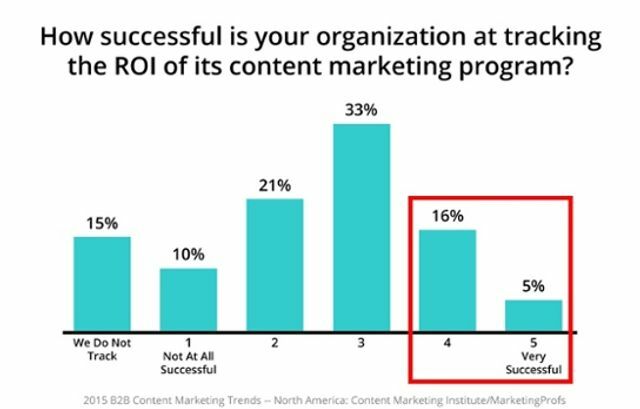 According to a recent survey by CMI and MarketingProfs, only 21% of content marketers are able to successfully measure their content marketing in terms of ROI. Seeing that stat was a big wake up call. In what other profession would that be ok? Imagine a quarterback who practices and studies the game plan with coaches like any other player, but when it comes to actual games, he has no visibility as to what happens to his throws after the football leaves his hand. He doesn’t know if his passes are caught or if they hit the ground. A quarterback can’t make adjustments and improve if he doesn’t know the outcome of his efforts when it counts. But that’s how it is for a lot of content marketing teams. Sure, they may know how many visits their post has (63% say that’s how they measure their content marketing efforts) or how many clicks it drives. But that’s like a quarterback knowing that he didn’t get sacked--it’s the bare minimum, a long ways from knowing if the play was successful at all, let alone if it resulted in a first down or a touchdown.